For decades, leaders have relied on brainstorming to solve their toughest creative challenges. But simply throwing teams together with hopes they’ll produce a breakthrough idea is counterproductive. Not only does brainstorming often lead to conformity, but decades of research show that people tend to produce fewer ideas than they would working alone. And while certain adjustments can help, it’s time we gave brainstorming a much-needed fix. With brainwriting, individuals are given time to think about and propose ideas before they’re swallowed up by group discussion. Say your marketing team is trying to come up with a brand message for a new campaign. Give each person a note card or Post-It to jot down a few working concepts. Some variations of brainwriting follow a “6-3-5” rule: a team of six people must come up with three ideas in five minutes. Once the cards change hands, a similar process unfolds–but instead of coming up with new ideas, each team member proposes new angles (a process that closely resembles the “plussing” approach popularized by creatives at Pixar, who bump up story ideas with different concepts). The card-swapping exchange of ideas continues until every member of the team has a chance to review and revise all the options. With some of my clients, I’ve tried a “skinny” brainwriting exercise in which cards or Post-Its are shared, at random, just once–but without any names or clues that give away someone’s identity. (In this version, there are only two rules: No guessing and no judgment.) After this first pass, all of the ideas are made visible to the entire group (sticking them on a physical white board or collecting them in a shared doc works well) and are evaluated collectively. Patterns and themes begin to emerge. More structured debate can suddenly unfold. Teams start thinking together–all because they had the chance to think apart. Teamwork: Rather than compete for airtime or idea superiority, team members work together to bring the idea count up, not down, and strengthen each other’s positions rather than defeat them. Explain the process:To avoid falling victim to “fad fever,” brainwriting needs a clear rationale. Make sure your team understands why you’re encouraging a shift from the familiar mode of brainstorming and the benefits it will bring. Clarity greases the wheels of change. Act on ideas: People shut off their creative thinking when they suspect their ideas fall down the rabbit hole. Don’t elicit ideas from your team unless you’re prepared to act on them. Seeking their input but failing to execute on it will deplete the creative capital of everyone around you. And in the event that one of these ideas turns out to be a winner, be sure to credit the person or team responsible for it. Staying ahead of the curve is never easy, but brainwriting can strengthen your team’s creative dynamics by providing a time-efficient, equitable solution that lets all voices be heard and the best ideas succeed. When we work together, the results we achieve can surpass anything we might produce on our own. Hiring the right person for your business or team is one of the most critical decisions you’ll make. The effects on resources and morale can be significant: According to a recent survey by Robert Half, the high costs of even one bad hire include time lost to training, increased team stress, and diminished faith in the leader. Most work problems result from acts of selfishness and self-absorption. That simply won’t fly in today’s hyper-connected business environment, as changes in the workforce, the workplace, and the technologies used in the world of work require teams to communicate and collaborate without fear or hesitation. Failing to pick up the wrapper may be an early warning sign of ego-driven behavior that puts individual honor (“I’m too good for this” or “That’s not my job”) before the needs of the team or organization. But when a candidate feels compelled to pick up office trash even before getting an offer, you can be sure that person is ready to put the team first. Staying a beat ahead of the competition isn’t just about innovation, but observation–developing a keen awareness of potential hazards that may cause your business to stumble. Having people on your team who are naturally attuned to their surroundings will protect the group from organizational blind spots that lead to missed chances and potential threats. With their detail-oriented thinking, these frontline “noticers” often identify ways to move a business forward. A person who notices the oddly placed candy wrapper could very well be the one who detects other irregularities, synergies, and disruptions that are hiding in plain sight. And that’s definitely someone you want on your side. When people deeply care about the work they do, it infuses every aspect of their job experience. They form a strong personal identification with the organizations they serve–and bring the fullest version of themselves to that relationship. When Zappos screens new hires, it puts applicants through a two-stage interview process: First, hiring managers interview candidates to learn about their past work experience and relevant skills. That’s followed by a separate round of interviews to determine whether candidates are a “cultural fit” for the company’s core values. The company is so confident that the people it hires are brand ambassadors that CEO Tony Hsieh allows reporters to approach any member of his team with on-the-record questions without getting preapproval. That might seem like a PR nightmare, but not if you believe, as Hsieh does, that the people he hires aren’t just filling jobs, but fulfilling a mission–one that is zealously built around shared beliefs and goals. No process is fail-safe, and making a bad hire is an unfortunate but unavoidable reality of running a business. But as team dynamics, agile thinking, and company culture play bigger roles in day-to-day operations, it’s important that the people we hire not only possess required credentials and skills but the right mindsets and attitudes as well. Giving feedback, especially when it’s critical, is a difficult but necessary function of managing people. Managers who don’t want to come across as confrontational will often resort to a “praise sandwich,” tucking negative feedback between two compliments. And while it remains a popular option, the praise sandwich is a stale choice. Not only do some people find this manner of feedback less reliable, they are often more likely to focus on the praise at the end of the sandwich instead of the critique in the middle — serving neither the feedback giver nor the intended recipient. Say you’re a sales director in a midsize company. Lately, you’ve become frustrated by Mike, one of your top-performing sales reps, who has developed a habit of interrupting clients in pitch meetings and cutting them off mid-sentence. You’ve noticed that this creates an uneasy dynamic and may even be costing you prospects. You appreciate Mike’s energy but need him to exercise more restraint and better listening during meetings. Now, if Mike is like most people, he walks away from that feedback encounter thinking that he’s a top performer (praise) and that you, as his boss, want him to maintain his current sales posture (praise). He is so attuned to these messages that he overlooks the part about showing restraint (critique). Instead of addressing the core problem, you’ve probably only reinforced it. This is high-grade feedback. You clearly define the cause and context (interrupting the client twice during a pitch); explain your rationale (it led to tension); explore why it matters to you (could cost the team leads); and seek genuine input from the recipient (rather than imposing a solution). Not only does Mike know exactly what’s on your mind and why you care, but he’s prompted to evaluate this information for himself and generate his own call to action. By approaching others as their partner and removing fear and uncertainty, your feedback is more likely to be positively received. And because you’re eliciting their ideas and suggestions, any go-forward solution is more likely to stick because it came from them, not you. Talking to people about their performance is never easy, but experience has shown me that when these conversations are reframed with a WRAP approach, people feel truly served by the feedback they get — and may even start coming back for more. Getting others to accept our feedback, especially when it’s negative, can be challenging. 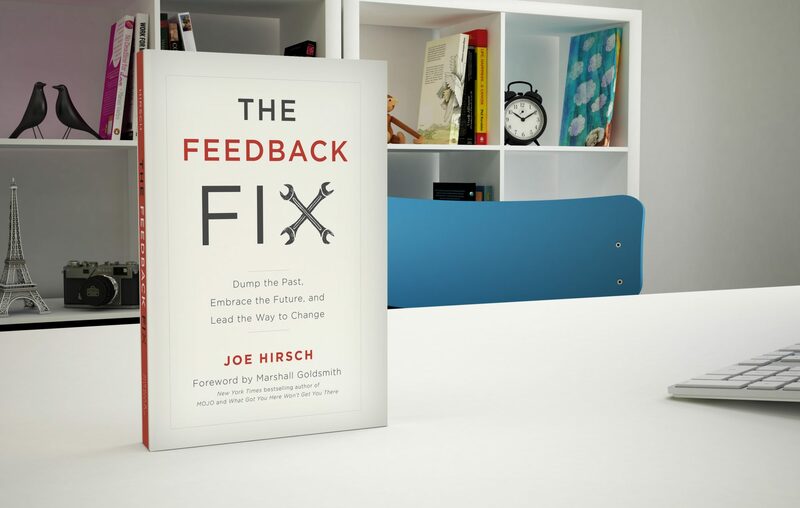 And while it certainly helps to share feedback that’s timely, specific, and growth-oriented, the best way to get others to be receptive to feedback is to describe a future they can still change and control. Too often, managers share feedback that’s rooted in the past and prescriptive in nature. If you want your message to produce a more positive and meaningful result, start by changing your feedback mindset. In short: Become a “mirror holder,” not a “window gazer.” Knowing the difference can make all the difference. “Window gazers” look at their surroundings and tell others what they see. Their view is one-sided and selective. When they size up others, window gazers already know what they’re looking for and where to find it. And because their field of vision is hyper-focused, they tend to lose sight of everything else within view. Window gazers tend to give out very specific but myopic feedback about another person’s work. The message tends to be narrowly focused, subjectively framed, and limited in its perspective. It captures only part of the performance picture–the part that the window gazer managed to see. On the other end of the feedback spectrum, you have “mirror holders.” These are the individuals who diminish their own view by enlarging the perspective of others. Mirror holders aren’t concerned with what they see–you can’t see much when you’re looking at the mirror’s opaque backside–and instead train their sights on helping others discover a better understanding of the issues staring right back at them. Simply put: Window gazers tell others what to see. Mirror holders challenge others to see it for themselves. When you give feedback as a mirror holder, you spend more time asking and less time asserting. Your feedback is guided by questions rather than assumptions. Rather than try to force a change, mirror holders attempt to provoke an insight, tilting the feedback dynamics from power to partnership and blame to inquiry. What might have become a fraught exchange turns into a positive exercise in relationship building. The best feedback helps others understand their strengths and provides the encouragement and guidance to build on those strengths. Mirror holders set the conditions for positive and lasting change. Making that small adjustment in your mindset can produce a world of difference in your message–and just might help others see themselves in an entirely new way. For young workers, moving into a leadership role is an exciting and fulfilling step, but not without its share of complications. Whether managing distractions or delivering valuable feedback, new leaders can feel overwhelmed by the demands of their new position. 1. When you ask for advice, mean it. Bringing others into the decision-making process is smart practice: Not only does it improve the quality of decisions, it also motivates others to stand behind those ideas and implement them. But when leaders ask for suggestions without showing real interest, they engage in what Stanford management professor Bob Sutton calls “sham participation”–putting out a hollow call for ideas when a plan of action has already been determined. This kind of deception wastes people’s time and erodes their trust. Once employees realize their opinions never really counted, they are likely to lose faith in their bosses and doubt their motives for even asking in the first place–leading to feelings of disappointment, confusion, and even resentment. To show your good intent, be upfront about the decision-making process. Manage expectations by making sure others understand what needs to be decided, how information will be collected, and who will make the ultimate call. People may not like the decision that’s reached, but they’ll respect the process behind it. 2. When you reach a decision, keep it. Once decisions are made, it’s up to the leader to stand by them–even when they’re unpopular. The initial rollout period can be fraught with grumblings, anxiety, and setbacks, but retreating from a decision not only weakens the action–it diminishes your credibility too. This can be especially challenging for inexperienced managers, who may feel insecure in their new roles. When faced with pushback from their team, well-meaning managers may put decisions “under review”–or in extreme cases, pull them entirely–to ease worries or win allies. When I’m training leadership teams, it’s the managers who maintain a calm and consistent approach that get the best results. When promises are made and kept, leaders show their team they can be trusted to follow through. If new information emerges later, decisions can always be revisited–not from worry and second thoughts, but as a result of balanced leadership and good listening. 3. When you pledge action, do it. The old adage of “say what you mean, and mean what you say” should be heeded closely when it comes time for implementation. Making a decision is not a substitute for taking action, and the sooner ideas are put into motion, the better. When leaders hesitate, tensions mount. People may wonder about the resources that were supposedly allocated to this project. Others may grow skeptical about the viability of the plan. Suddenly, interest and momentum are replaced by worry and hand-wringing. Besides taking swift and deliberate action, leaders should openly communicate their intentions with others. When announcing a new decision, be sure to include a timeline for implementation and stick to those dates. You can even bring greater visibility to the project by providing status updates or team-wide demonstrations of its real-life effects. Learning how to provide support is one of the most important skills a new leader can master. Clarity, consistency, and communication are key to getting great results–not just for your team, but for yourself, too. Throughout his career, NBA star Steph Curry has demonstrated key lessons in leadership and mental toughness–not to mention, the power of a positive team culture. And as a new NBA season gets ready to tip off tomorrow, Curry is taking aim at the value of a growth mindset. That’s a neat summary of a growth mindset, the belief that basic qualities can be cultivated and improved through ongoing effort. As research by Stanford psychologist Carol Dweck has shown, people can change and improve through application and experience. Success comes as a result of effort, learning, and persistence–not just inborn talent, intelligence or strength. Believing that your qualities are carved in stone–a fixed mindset–discourages risk-taking and revision. People with a fixed mindset avoid challenging situations that might lead to failure because success depends upon protecting and promoting their set of fixed qualities and concealing their deficiencies. Whether your target is a higher sales volume, diversified revenue stream, or faster production cycle, having a growth mindset is critical to business success. Here’s what it looks like off the court and in your office. If you adopt a fixed view of talent, you’ll inevitably treat each employee’s skills as fixed assets. That view of human capital will create the mistaken belief that people’s capabilities are static rather than fluid. Instead of grooming the talent they already have, managers may vainly search for better options–and risk alienating and even losing their rising stars in the process. I once coached the owner of a midsize electronics company about the power of screening for talent. He felt that he could size up new hires on the spot based on gut instinct, but ended up passing on hidden gems because his “gut” tended to veer towards his fixed views of candidates’ surface qualities. A fixed mindset fosters a zero-sum view of the world: If you win, I lose. This threat triggers our primordial instinct to protect power and eliminate threats–hardly the kind of attitude that promotes harmony in the workplace. Recently, I conducted a workshop for a large digital marketing firm about ways to boost their creative capacity. During pitch sessions, the creative director had a habit of talking at length, leaving little room for the rest of his team to contribute ideas of their own. Once he realized the power of tapping the team’s creative genius, the creative process spiked–the team generated more ideas than before, and the creative director was viewed more favorably by his team. A growth mindset redefines the possibilities of partnership: By working together, we can create more value than if we work individually. That process of creating shared value deepens trust, increases collaboration, and strengthens relationships–a virtuous cycle that leads to healthier workplace dynamics and outcomes. Even well-intentioned managers can fall victim to their own cognitive traps, like seeking information that confirms their preexisting beliefs–confirmation bias–or placing too much stock in the superiority of their own views, known as self-confidence bias. In my book The Feedback Fix, I showed the debilitating effects of these assumptions on everyday conversations. A fixed mindset allows those cognitive biases to creep, since it does little to offset–and may even reinforce–our natural blinders. You don’t need the preternatural talents of a Steph Curry to achieve a growth mindset–just a commitment towards seeing others not just for who they are, but who they are becoming. In my work with leadership teams, I’ve noticed that managers of high-performing teams consistently broaden and build the talents of the people around them. These leaders recognize that making adjustments to their management style is the key to building winning teams. They play to people’s strengths. This is hardly surprising. A recent report by Gallupshowed that strengths-based leadership has the potential to deliver improved business outcomes: Employees who say they use their strengths every day are 8 percent more productive and 15 percent less likely to quit their jobs. They are also more likely to strongly agree that they like what they do each day. When people are untethered from management, their strengths can rise. The litmus test of team effectiveness is psychological safety, the ability of group members to think and act without worrying about social repercussions – in essence, to just be themselves. Google discovered this firsthand when it studied 180 of its own teams to learn why some were successful and others were not. After a series of trials, research analysts turned up only one reliably consistent pattern of high performance: psychological safety. Great teams need a shared roadmap for success: What does it look like, where are the challenges, and how will they get there? Developing a common vision means that all team members know what’s expected of them and how their role fits into the team’s larger purpose and priorities. Naturally, managers are at the center of this — it’s their job to help challenge and develop their reports to identify and practice these values. When managers pay attention to their employees with greater frequency, providing just-in-time feedback and holding regular conversations focused on coaching and development, the better their teams will perform. There’s no secret formula for winning teams. They are built over time and assembled from the ground up. With the right tools — a focus on strengths, safety and communication — managers can design something that’s built to last. Good leaders are constantly looking for ways to boost their employees’ sense of engagement and shared purpose. But you don’t need grand gestures to make people happier or more productive. In fact, the biggest payoff may come in small packaging. It’s a practice that has gained traction with executives at major companies. During his tenure as CEO of Campbell’s Soup, Douglas Conant delivered close to 30,000 handwritten notes to employees at all levels of the company, from senior executives to maintenance staff. Mark Zuckerberg made it his personal goal in 2014 to share one “well considered” thank you note with a Facebook employee each day. And Indra Nooyi, going one step further, even sent letters to the parents of top Pepsi executives. Expressing gratitude can also boost productivity. Researchers at the Wharton School found that a group of university fundraisers who received hearty thanks from the school’s director of annual giving made 50 percent more fundraising calls than a second group that went unrecognized. For the next 10 to 15 minutes, leaders wrote thank you notes to each person on their list. One SVP thanked his assistant for keeping him up on track with his appointments. A sales director acknowledged the efforts of two members of her sales team who worked over the weekend to get a pitch ready by deadline. Much to the surprise and delight of the recipients, the notes–written on thick cardstock and packaged elegantly–were delivered in person by the leaders themselves. Turns out a little gratitude goes a long way. In a follow-up conversation with leadership, I learned that the gratitude challenge had made such a splash that several employees began a campaign of their own. A few members of the marketing team created a “gratitude box” where employees could drop notes of appreciation singling out their colleagues for acts of kindness, support and above-and-beyond performance. The notes were read out loud at the start of a weekly team meeting, and the public recognition fostered goodwill among employees. 2. What would life be like without that? Think about gratitude as a process of addition by subtraction. How might have things turned out without this person? What would be different about you or your life? When you start to imagine all the things that could’ve gone wrong, you won’t easily take for granted all the ways things went right. 3. Why did this matter? When someone helps us, we aren’t the only recipients. Think about others who might also have benefited from this person’s actions. List them and how their lives were improved as well. By recasting your gratitude in larger terms, the person receiving the note will experience a greater sense of satisfaction knowing that he or she made a difference on a grander scale. Culture is the stealth force of organizational behavior. Positive cultures can lift people to higher levels of performance, while negative cultures can deflate even high-performing people. There’s little doubt that “culture eats strategy for breakfast,” as Peter Drucker famously put it. But what can leaders do to create a culture that doesn’t eat its own people? That was the key finding by a research team at Stanford, Yale and Columbia after analyzing two different sets of feedback provided to students by their teachers. Some students received only generic comments on their papers, like “good job” or “nice work,” while others got something more: the 19-word encouragement scrawled on a Post-It note. It turns out that this small gesture paid big returns, especially for students of color: 72 percent voluntarily revised their papers, compared to just 17 percent who just received the generic feedback message. Not only that, but the students who got the Post-It note also received better overall grades on their work. The research highlights a significant lesson for leaders trying to build more positive cultures inside their own organizations: Great cultures are marked by great caring. Tucked inside those 19 words are three specific lessons for building and sustaining a culture of caring. As the Post-It note study makes clear, people rise or fall according to our expectations. Setting the right challenge point — one that lies just past their current performance level but remains within reach — is the first way leaders create a culture of caring. Telling your employees that “I have very high expectations” not only shows that you know you them well enough to pinpoint their strengths, but also demonstrates that you trust them to meet that level of excellence. When leaders communicate high expectations, they articulate a clear vision of what success looks like and how others can go about achieving it. With the successful completion of one challenge point comes another, creating a virtuous cycle of aspiration and execution. Rather than issue top-down directives, leaders work in tandem with their people to create a series of personal missions that allow employees to feel more connected to the broader mission of their teams and organizations. And that sense of connection fuels belonging and contribution, the feel-go and do-good drivers of positive culture. Many leaders aren’t comfortable giving critical feedback, which is why the first part of the Post-It note (“I am giving you these comments”) is so important. Providing regular feedback, even when it’s difficult to share, can provide a much-needed boost to performance and is the reason, according to research by Zenger-Folkman, that employees favor it by a margin of three-to-one. Ultimately, we give feedback to the people that matter to us. Creating that dialogue with employees helps builds a culture of caring. But it’s not just a question of greater frequency — the message matters, too. Shifting to a culture of caring starts with a new mindset about performance. Instead of running through a litany of past mistakes that employees can no longer change, leaders should make time and room for employees to sketch their own way forward. By asking more questions and listening with greater attention, leaders can turn feedback from a trial into a partnership — and with that change in tone and trajectory, foster greater optimism, trust and respect. Holding people to a high standard and facilitating their growth shows leadership engagement, but a true culture of caring emerges when leaders provide continuous support to their employees. Whether that takes the form of just-in-time learning opportunities, additional training resources or even a spontaneous perk, employees feel more connected and cared for when these gestures are ongoing. Which is why the final encouragement of the Post-It note (“I know you can reach them”) may be the hardest to demonstrate. Building and sustaining a culture of caring demands steadiness, sensitivity and sacrifice. It requires leaders to check their own assumptions about what their employees need to be successful and to seek input on how they can best support them. Unless leaders can demonstrate that level of commitment, they shouldn’t expect their employees to show it, either. It’s helpful to remember that the word “culture” originates from the Latin term cultus, or care. If we care about a great culture, we need to start caring a lot more. A new year means a fresh start, but for many well-intentioned leaders, familiar problems can give way to old habits. Hiring challenges, workplace conflicts, productivity drags — these time-sucking traps can distract leaders from becoming a source of energyand inspiration for the people they lead. Without requiring significant time or resources, here are four ways leaders can supercharge their teams in the year ahead — and boost the way employees feel, grow, work and create all year long. Develop a gratitude habit that capitalizes on these benefits. Write thank-you notes to members of your team whenever they hit a work-related target or go beyond the call of duty. Make a point to include shout-outs to deserving individuals in your office communications. Start meetings with a something you’re personally grateful for in and beyond the workplace. You’ll be surprised how quickly the gratitude bug spreads, causing others to experience a lift in their mood and morale. Too often, managers share feedback that’s rooted in the past and prescriptive in nature. The best feedback helps others understand their strengths and provides the encouragement and guidance to develop those strengths. Make a point to share just-in-time feedback that actively involves employees in the growth process. Instead of simply telling them what to fix, seek their input on how to build. For example, you might augment feedback with questions like, “What’s the best way for us to handle this?” or “How would you do this differently?” When leaders shrink their own voice, they sharpen the vision of others — and just might be surprised by how far their employees can see on their own. When leaders communicate high expectations, they articulate a clear vision of what success looks like and how others can go about achieving it. Designing “challenge points” for employees — goals that sit just past their current performance level but remain within reach — are crucial to instilling confidence and growth. The most effective challenge points are designed together with employees. Craft a vision plan of near-term and long-range goals that employees will work towards with your ongoing supervision and support. Not only do these challenge points frame a meaningful process of goal-setting, they also create a partnership model that allows you to assess progress and performance without the specter of subjectivity and fear. Your employees will feel both challenged and supported. Draw out your team’s creativity. When leaders seek creative input from their team, they often resort to brainstorming. Not only does this lead to conformity, but decades of research show that people tend to produce fewer ideas than they would working alone.